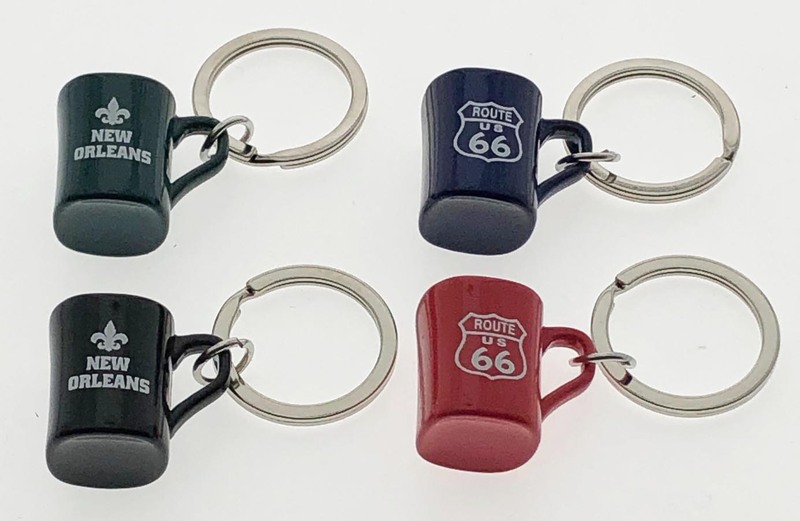 These COLORFUL CUP KEY TAGS are made from zinc alloy and then painted in assorted colors (RED, BLUE, BLACK, and DARK GREEN). They measure 1" wide to through the handle by 7/8" high. Each piece is attached to a 1 1/8" flat split ring.